iPod/iPhone integration with 30-pin connector. 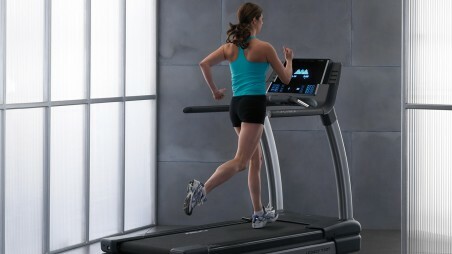 4.3” Touchscreen for workout and entertainment setup and control. Quick Start (Manual Mode), Nine Workouts with Time, Distance or Calorie Goal, Six Military tests, 1-Mile Fitness test and Gerkin protocol; Workouts have 15 levels.